I am using the beautiful PTU kit of Honored Scraps called Scraphonored_IB-SteveBaierJuly2014-bt. You can purchase this kit at Creative Design Outlet. This scrap kit was inspired by the Artwork of Steve Baier. 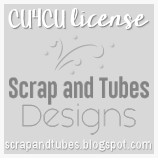 Steve Baier's tube is the July 2014 bonus tube you could get for free if you purchased $10 or more of his products from CDO. This tube will be retired at the end of July 2014. At this time, you can add the Artist Copyright. I am using the beautiful kit & tube of Arthur Crowe called Air Goddess. It also comes together in a combo that you can also get at his site. At this time you can add the copyright. Please send them to: agelesskarmacreations@gmail.com.